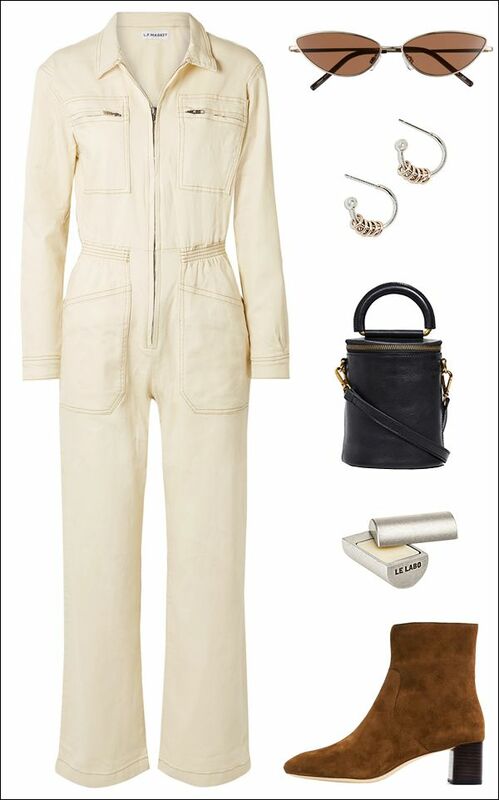 One of our favorites trends of the season is the utility jumpsuit. Here's what we'd wear with this piece all winter long: cat-eye sunglasses, edgy hoop earrings, a classic black bag, and brown suede booties. The we'd top it off with a rich, warm scent like Le Labo Santal 33.